Live to Eat or Eat to Live? We’ve been eating soups for lunch for quite a while, now. It’s the perfect meal for heating us up and filling us up during these cold winter months. Besides just being good, they’re packed with nutrients. It’s win-win for weather and weight-loss. We take turns making them – both of us are pretty handy in the kitchen – and each batch will last three to five days, depending upon ingredients and just how big of a pot we make. I made a corn and seafood chowder the other day and Victor made a Butternut Squash and Apple soup, this morning – perfect for our impending snow. Peel and dice the onion. Peel and seed butternut squash and cut into chunks. Peel potato and cut into chunks. Chop two carrots to bite size. Core and peel the apples then cut into chunks. Heat about 2 TBS olive oil in the pot and sauté the onions and garlic with a bit of salt until soft (about 5 mins). Add another 2 TBS of olive oil to the pot and the squash, potato, carrots and apples along with the spices (Ginger, Coriander, Cinnamon, Cayenne – salt and pepper) and stir letting the spices bloom in the pot for about 5 mins. Add the white wine and bring it to a simmer for another 5 mins before adding the stock and water. Bring to a boil then allow to simmer for about 30 minutes or until the vegetables are soft. Once the everything was soft I took a potato masher and hand mashed everything to a chunky, grainy consistency. You may also use a blender, food processor or immersion blender to puree the soup smooth. 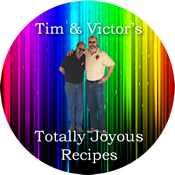 Taste – adjust seasonings if needed and you’re off to the races. It’s sweet, spicy, rich, and full of flavor. The perfect antidote to winter.